This tour introduces you in style to the wonders of ancient Egyptian civilization. Transported by your own private vehicle, you will visit the Great Pyramids of Giza, the only survivor of the Seven Wonders of the Ancient World, the mysterious Sphinx and the Step Pyramid at Sakkara. Experience for yourself the awe that Howard Carter must have felt when he first set eyes on the treasure-filled tomb of Tutankhamen when you visit the Egyptian Museum of Antiquities. At Luxor, you will explore legendary sites such as the Valley of the Kings, the Temple of Queen Hatshepsut, Luxor Temple and the breathtaking Temple of Karnak. At Aswan, you will visit the Aswan High Dam, Egypt's contemporary example of building on a monumental scale. Then you will embark on a riverboat and visit yet more astonishing temples including the Temples of Kom Ombo and Edfu. Upon arrival at Cairo International Airport, you will be greeted & assisted by one of the Cali4Travel representatives with formalities through customs and transfer by private minivan to your hotel in Cairo. Check-in & Overnight at the hotel. After breakfast, you will meet your Egyptologist guide at the hotel to depart for a full day tour in Cairo. 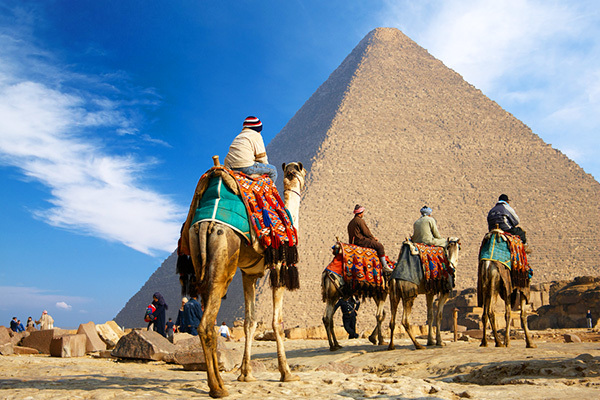 You will discover the pyramids of Giza and the famous Sphinx. Overnight at the hotel. Upon arrival at Luxor Airport, where you will be met by Cali4Travel Egypt representative for transfer to your deluxe Nile Cruise which will be your home for the next 04 nights, check in before Lunch. In the afternoon depart for visits of the East Bank of Luxor, including the Luxor and Karnak temples. Then relax in the Nile Cruise or you can walk through history, ride on a horse-drawn carriage, sail in a felucca, or explore the city of mysteries. Dinner & Overnight on board. Breakfast. Then in Kom Ombo, you will visit the temple of Sobek and Haroeris, the magnificent Ptolemaic temple is an awe-inspiring setting on high ground by the Nile surrounded by sugarcane fields, dedicated jointly to Haroeris, the medicine god, and Sobek, the crocodile god. Lunch on board. 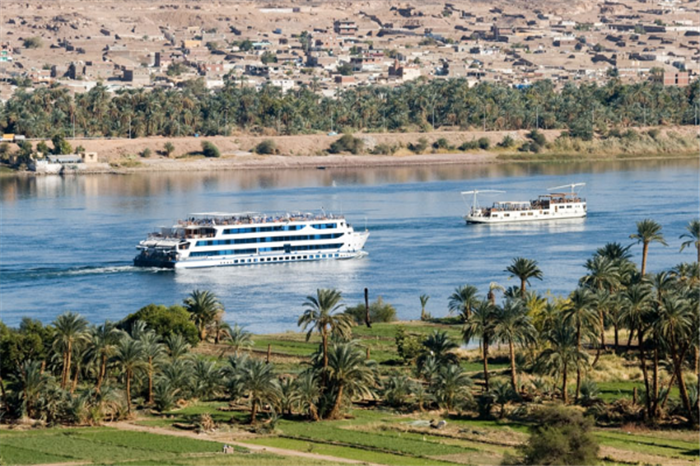 Relax and admire the beautiful scenery along the Nile while sailing to Aswan. In the afternoon, you will visit the High Dam, the unfinished obelisk and the beautiful temple of Philae in Aswan. Dinner and Overnight on board. 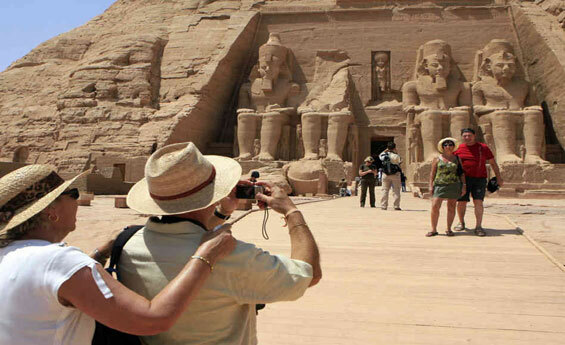 (Optional early morning tour to Abu Simbel by air or road is available). Breakfast and Disembark the Cruise then you will be transferred to Aswan Airport for the Domestic Flight to Cairo. upon arrival at Cairo Airport, where you will be met by your Cali4Travel Egypt representative for transfer to your hotel in Cairo. Check-in. & rest of the day free at leisure or you can join one of our optional tours in Cairo. Overnight at hotel. After breakfast, free at leisure until check out time then transfer to Cairo international airport for the final departure (End of Services).